A debut story collection that, in seven loosely-connected tales, conjures the experience of adolescence through the eyes of Chinese American girls growing up in New York City. Zhang’s writing strips away the layers between reader and experience; her gaze is unflinching, and she never cuts away when things become uncomfortable or grotesque. The effect is something like watching a wound scar in reverse. It seems to say: This is the site of trauma. I might heal, but I’ll never be the same ... Humiliating, brutal, funny, visceral, and truthful ... Stories matter because every immigrant story is a tale of lucky breaks and narrow escapes. Only in the softer, sepia-toned light of revised history do these stories look like individual cunning and derring-do. Sour Heart is brilliant because it runs headlong into this thicket of contradiction and comes out unscathed. Zhang’s gift is to meld the tender and grotesque—the raw materials of a life—into stories that teach us how to treat each other. 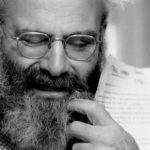 Zhang maintains a deceptive sort of control, moving backward and forward in time, scrolling through memories, lending her stories the quality of rambling monologues and concealing the seams of the exquisite design of the book as a whole, its raucous set pieces, and long, looping sentences. The result is a forceful performance and one of the knockout fiction debuts of the year ... The world of the late 1980s and 1990s — the era’s crappy television shows and computer games and fast food — is something Zhang summons on the page without a false move ... Zhang has transformed her narcissism and nostalgia into that most American of genres, a virtuoso song of herself. 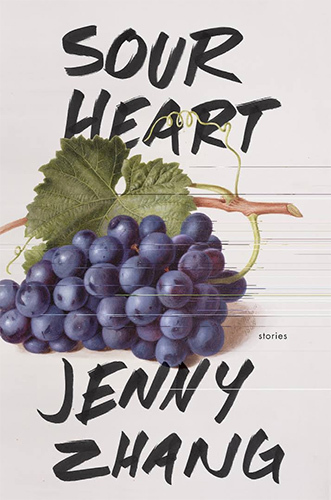 Jenny Zhang’s astounding short-story collection, Sour Heart, combines ingenious and tightly controlled technical artistry with an unfettered emotional directness that frequently moves, within single sentences, from overwhelming beauty to abject pain ... The collection’s organizing theme is familial love that warps a person beyond all recognition: specifically, a type of immigrant devotion with a power that is both creative and entropic, and which affects its recipients in idiosyncratic ways ... Until now, Zhang has been better known for poetry and essays, but she has a background in fiction and she has a knack for deploying and combining common literary devices for mischievous, unexpected ends. What did you think of Sour Heart?